Sally Goddard Blythe. MSc, FRSA. Sally Goddard Blythe is the Director of the Institute of Neuro-Physiological Psychology (INPP), Chester, UK, www.inpp.org.uk and a world leading authority in the role infant reflexes play on development, behaviour and learning. 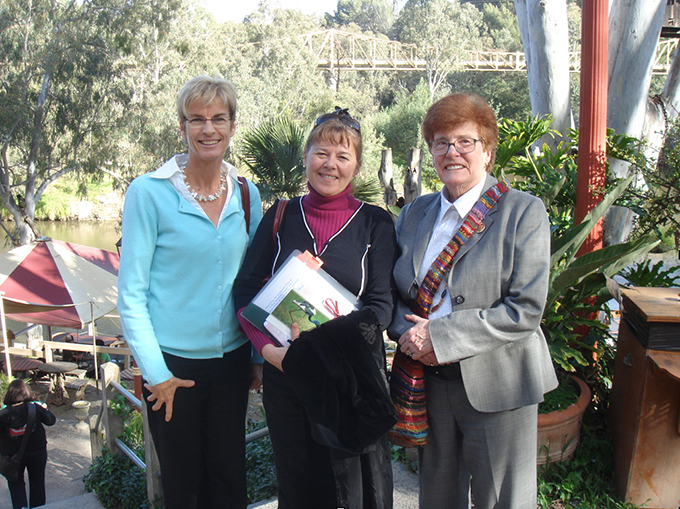 Sally has supported the GymbaROO program for many years, having first met the GymbaROO founder, Margaret Sasse, in the early 1990’s. The INPP research and practice has helped steer the GymbaROO program along a very important course in regard to infant reflexes and exercises, by supporting and reinforcing the long held beliefs of Margaret that early infant reflexes play a vital role in development. Sally is the author of ‘The INPP Test Battery and Developmental Exercise Programme for use in Schools’, to help teachers identify physical readiness for learning and a programme of exercises designed to encourage physical readiness in children with problems. Sally has lectured on the role of infant reflexes in development and later learning problems to many different groups throughout Europe and in different parts of the United States. She is a member of the International Alliance for Childhood and the “Open EYE” campaign – a pressure group dedicated to ensuring that children’s developmental needs remain at the top of the agenda for government recommendations for early years education in England. Sally is also author of several books and published papers on child development and neuro-developmental factors in specific learning difficulties including: Reflexes, Learning and Behaviour, The Well Balanced Child and What Babies and Children REALLY Need; Attention, Balance and Coordination – the A,B,C of Learning Success and The Genius of Natural Childhood. Professor Frances Page Glascoe, PhD. Professor Frances Page Glascoe is a worldwide authority on parenting and early childhood development, and is co-editor of the American Academy of Pediatrics: Development and Behavior Newsletter. She also mentors the Royal Children’s Hospital (Vic) Community Child Health Program, and is a leading advisor for many similar programs around the world. In her foreword in GymbaROO Founders book ‘Smart Start’ Professor Glascoe described Margaret as “a leading international authority on the value (and enormous fun) of movement in children’s lives and in parent’s lives too”. She came on board as a Pro-Bono patron for GymbaROO after seeing the program in action. Professor Glascoe was particularly impressed by the level at which dads are encouraged to play with and be involved in their children’s development.